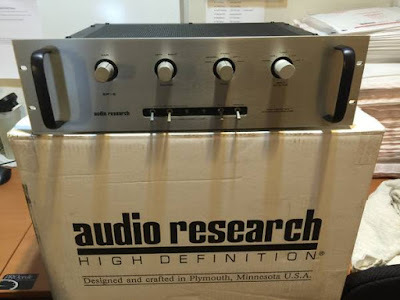 Audio Research SP-6B - Classic tube preamp! This preamp is quite neutral, dynamic, and nicely transparent. 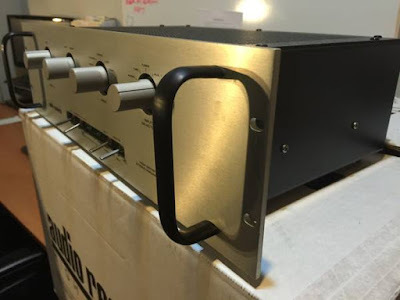 All tube phono stage. Uses 12AX7s , a very common tube to find replacements for. I have no hesitation in recommending this piece of classic audio gear! 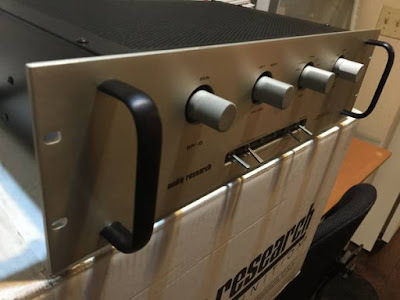 The phono stage is where this preamp excels. The tone is neutral, and the sound stage is amazing! Besides the imaging, the wonder of ARC is the excellent build quality. High level section: ±.25dB, 5Hz to 30kHz. Magnetic phono: ±.25dB of RIAA from 30Hz to 40kHz. Harmonic distortion: Less than .01% at 2V RMS output, 20Hz to 20kHz (typically about .0005% in midband). Intermodulation distortion: Less than .002% at 2V RMS output. (1) 250 µv RMS maximum residual unweighted wide-band noise at main output with gain control minimum (86dB below 5V RMS output). (2) More than 90dB below 1V RMS input (less than 20 µV equivalent input noise). Magnetic phono: 5 µV equivalent input noise, wideband RMS (-66dB reference 10mV input). Gain	Magnetic phono input to tape output, 34dB. 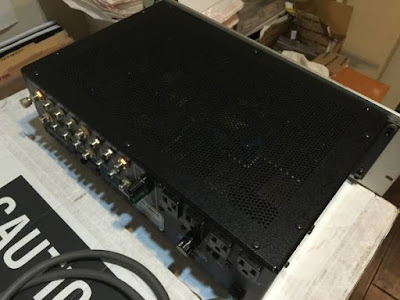 Magnetic phono input to main output, 60dB. 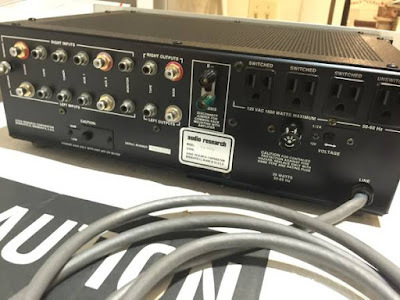 High level inputs to tape output, 0dB. High level inputs to main output, 26dB. Output impedance	500 ohms at 1kHz, rising to 2.1 kOhms at 20Hz, all outputs. Recommended minimum load for maximum audio quality, 20 kOhms. SP6-B: Less than 500 ohms main output, 1000 ohms tape output. Recommended minimum load for maximum audio quality, 50 kOhms and 250 pF maximum capacitance. Power supplies	SP6-B: 4 electronically-regulated solid-state supplies. Frequency-compensated high voltage supplies have a total equivalent low frequency stability of greater than 3 farads of capacitance. Line regulation better than .001%. Power requirements: 100-120/190-240 VAC, 50/60 Hz, 35 watts. Dimensions	19" (48 cm) W x 5 1/4" (13.4 cm) H (standard rack panel) x 10 1/4" (26 cm) D. Handles extend 1 5/8" (4.1 cm) forward of front panel. Rear chassis fittings extend 7/8" (2.3 cm).